One of the most unpleasant experiences an investor, trader, or speculator might face in his or her lifetime is known as a margin call. What exactly is a margin call, and why can they induce panic in otherwise sane investors? Understanding how margin accounts work, and factoring in a little prevention and conservatism, can prevent a lot of potential pain down the line. When you open a margin account with your stockbroker, futures broker, or commodities broker, you effectively tell them that, at some point, you may want to borrow money from them. You do this by pledging the cash and securities in your account as collateral for the margin loan. Once you borrow the funds to purchase securities, the broker can then sell off your other assets if needed to satisfy your margin loan, which is a potential disaster waiting to happen. If your investment account doesn't have enough value to satisfy the margin loan, you are legally bound to come up with the entire remaining debt balance. That is, you can lose much more than the funds you have deposited into your account. 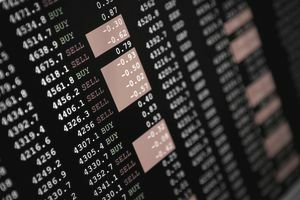 There are significant dangers to buying stocks and other securities on margin, even if you believe it's a relatively conservative investment. Any time you trade on margin, you've introduced the possibility of a margin call. Specifically, a margin call occurs when the required equity relative to the debt in your account has fallen below certain limits, and the broker demands an immediate fix, either by depositing additional funds, liquidating holdings, or a combination of the two. Your account might have fallen below the regulatory requirements governing margin debt, due to fluctuations in asset prices or changes by regulators. Federal Reserve Regulation T makes it possible for the nation's central bank to enforce minimum margin debt-to-equity requirements, as a way to avoid excessive over-leveraging and speculation. For example, current rules state that when dealing with stocks on the New York Stock Exchange, the borrower must have at least 50 percent equity at the time of purchase and must maintain, at all times, at least 25 percent equity in their account. For example, if you had $100,000 in an investment account, you could borrow another $100,000 on margin, taking your total assets to $200,000 of which half was debt and half was equity. You might not face a margin call until your combined account balance declined by 33.33 percent to $133,333, at which point the debt ($100,000) would be 75 percent of the total account balance ($133,333) with the equity ($33,333) making up the remainder. Additional restrictions on margin debt also exist, such as a limit for accounts of less than a certain size ($2,000) or when trading so-called penny stocks. You may become subject to a margin call if your brokerage firm changes its margin policy for your account. It may no longer consider you a good risk, because of a specific security you own, if it thinks the risk exposure warrants it, or any number of other reasons, none of which have to be fair or serve your best interests. For example, many brokerage firms set margin maintenance requirements much higher than the minimum regulatory rules. Brokers don't want to be on the hook for borrowed money that you can't repay so the bigger the equity cushion to absorb losses, the safer it is for them and their owners, shareholders, and lenders. In practical terms, the margin debt exists at the discretion of the brokerage house and they can demand repayment at any time, without giving you notice. When a situation arises in which your account no longer has the necessary equity-to-debt ratio required by either the broker's own internal house rules for margin maintenance or those set as minimum guidelines by the Federal Reserve, the broker issues a margin call. A margin call is most often issued these days by placing a large banner or notification on the website when an investor or speculator logs in to check his or her account balance. Some brokers offer notifications through email, phone calls, or text messages. If the broker is not worried about your financial condition, it may give you time to deposit new cash or securities in your account, raising the equity value to a level considered acceptable either by the internal margin debt guidelines or the applicable regulations. Otherwise, brokerage representatives may begin selling off your holdings to raise as much cash as possible. The broker is typically interested in protecting its own financial condition and doesn't want to go after you to collect a debt. As a result, and as spelled out in your account agreement, it is under no obligation to give you additional time to meet a margin call or to consult you prior to liquidating assets in your account to cover any margin debt. Your broker can decide to sell your highly appreciated securities, leaving you with big deferred tax liabilities, triggering major capital gains expenses for you, against your wishes. Your broker can sell your severely undervalued stocks or bonds at the worst possible moment, leaving you no choice in the matter, permanently locking in your losses. They don't even have to call you on the phone or give you a chance to react first, so you may not get a chance to rectify the situation even if the funds are available to you. When you opened your account, you signed the account agreement that spelled out the margin call ramifications clearly, so you must live with the consequences. What Happens If You Can't Meet a Margin Call? The debt will be reported to credit agencies, making borrowing money difficult as it will affect your credit score. Additionally, its presence may cause your other lenders to cut off access to their products (e.g., a credit card company closing your account) or raise the interest rate you are charged as an offset to the higher risk you now represent. If you have business loans or other liabilities that permit accelerated maturity in the event of a major change in your financial condition, you may find the entire balance owed on those debts, as well. A universal default may be triggered and, in jurisdictions where it is permitted, you may find your insurance rates on your home, cars, or other policies increasing substantially as you are now considered deficient in character. Additionally, you may find it harder to land a new job as some states allow companies to consider credit histories as being indicative of responsibility and capability. The broker will launch a lawsuit against you demanding immediate repayment, including legal costs. The remedies available depend upon the specific laws of the state but may include forcing you to disclose your entire financial situation including income, assets, and debts under oath, and having bank accounts and other personal property garnished or seized, including putting real estate investments up for sale. In many cases, the best option may be to raise money however you can and wipe out the debt within days, even if it means selling other assets such as cars or furniture. Alternatively, you may choose to consult as quickly as possible with a bankruptcy attorney. If filing is the right call, they might advise you to do it sooner than later. For example, in some situations, you might opt to accept the pain of bankruptcy and protect the money within your 401(k), 403(b), Roth IRA, or another retirement plan, as they are often beyond the reach of creditors. If you liquidate these accounts to meet a margin call, you'll get hit with ordinary taxes plus an additional 10 percent penalty tax, then declare bankruptcy, anyway, because your liquidated retirement accounts weren't sufficient to pay the entire balance. Open a "cash only" account at your brokerage firm. Aside from being a little more inconvenient, it means you can't create margin debt because securities must be fully paid, in cash, at the time of acquisition. If you want to employ leverage within a cash account, you can still gamble with investments like stock options that are fully paid or 3x leveraged ETFs. For example, instead of shorting a stock, you might buy options on the stock instead. Put options have different risks and trade-offs, but the most you can lose is 100 percent of the amount you spent on the cost of the puts. Only take positions that have a theoretical, maximum loss and keep that amount of money, plus a 10 percent or 20 percent cushion for interest or other contingencies, in an FDIC-insured bank account or in U.S. Treasury bills. That way, no matter what goes wrong, you know you can cover the worst-case scenario payment. Remember, however, that the broker may not give you a chance to meet the margin call if they are sufficiently worried, and could liquidate your positions before you've been contacted. You find that you get slightly better treatment from a private bank or full-service broker than you would at a discount brokerage. If you had a margin call but it was a tiny percentage of your net worth, and you had most of your net worth invested or parked in the private bank that served your brokerage needs, the private banker might find a way to avoid having your holdings sold off or inconveniencing you by giving you a courtesy phone call. Brokers don't have to notify you, so never assume they will, but it's possible they don't want to lose a wealthy client who pays a lot of lucrative fees over a relatively paltry sum. You won't get a courtesy call from a discount broker, operating a do-it-yourself account, so be particularly careful if you're working on your own. The Balance does not provide tax, investment, or financial services and advice. The information is being presented without consideration of the investment objectives, risk tolerance or financial circumstances of any specific investor and might not be suitable for all investors. Past performance is not indicative of future results. Investing involves risk including the possibility of loss.